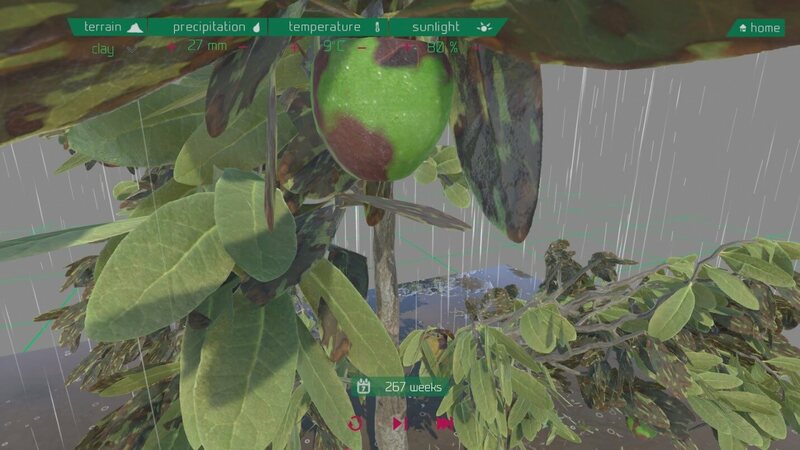 - Develop a knowledge platform for analyzing and simulating the complex processes and environmental factors that impact the growth of plants. 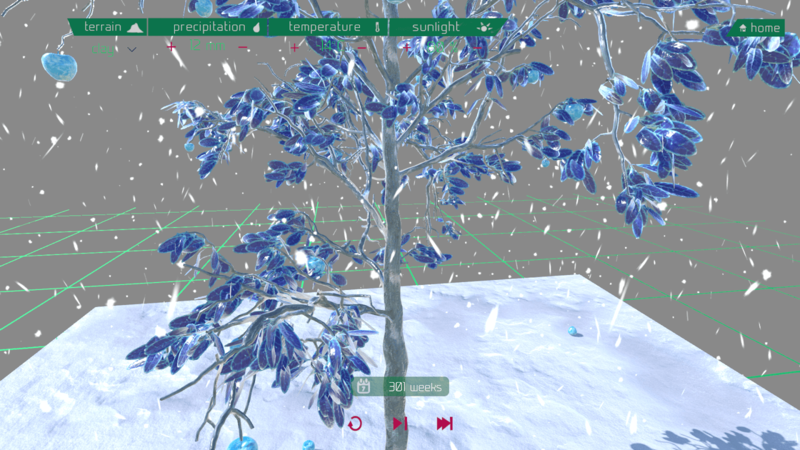 Unity 3D game engine has been used for developing the software simulation. 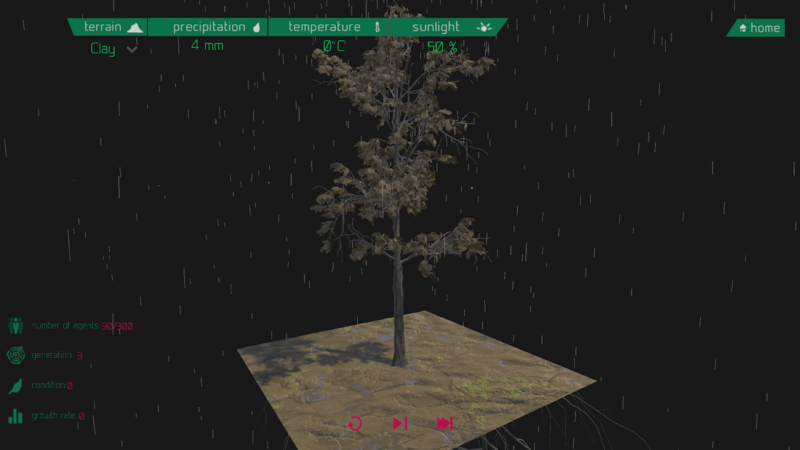 Use machine learning agents to analyze the input data (earth mineral composition, water volume, temperature) and add the required corrections to achieve a biodome that sustains the growth of plants in the best condition. The first stage in creating an agent consists in defining 4 floating number outputs (neuronal outputs). First three values are responsible for the increase and decrease of the environmental factors and the last float output changes the soil type. The second stage feeds the agent a set of values (neuronal inputs) that serve as data to determine the actions of the agent. Our plant agent has as inputs the current values of each environmental factor the current soil, the lifetime of the plant, the current growth rate and health of the plant. The agent with an easy to understand typology, 7 inputs, 4 outputs. 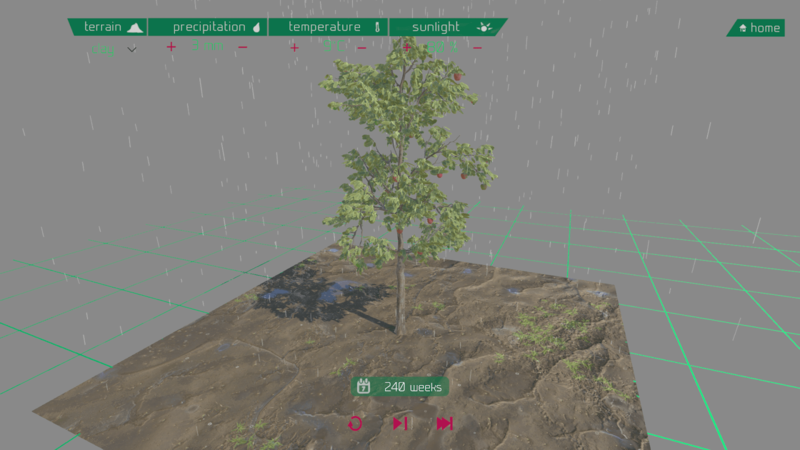 It is able to do all the required functions to evolve and with an agent manager (kills agents, set agent number per generation connects the best agent to the scene) we have a capable AI that will learn to grow our plants.